that we don’t currently offer we also offer a bespoke service. Immerse yourself in the Star Citizen universe with our range of Star Citizen furniture. All products are hand-crafted with passion and precision and we aim to keep our furniture as accurate as possible to the in-game asset. Costs include full customisation with your favourite in-game brands. Dreamed of building your ultimate Star Citizen themed PC? This full scale 6-unit crate is designed to fit ATX and smaller motherboards and comes complete with working touch screen to power on and monitor temperatures and performance. No games room is complete without a mini fridge for snacks & drinks. 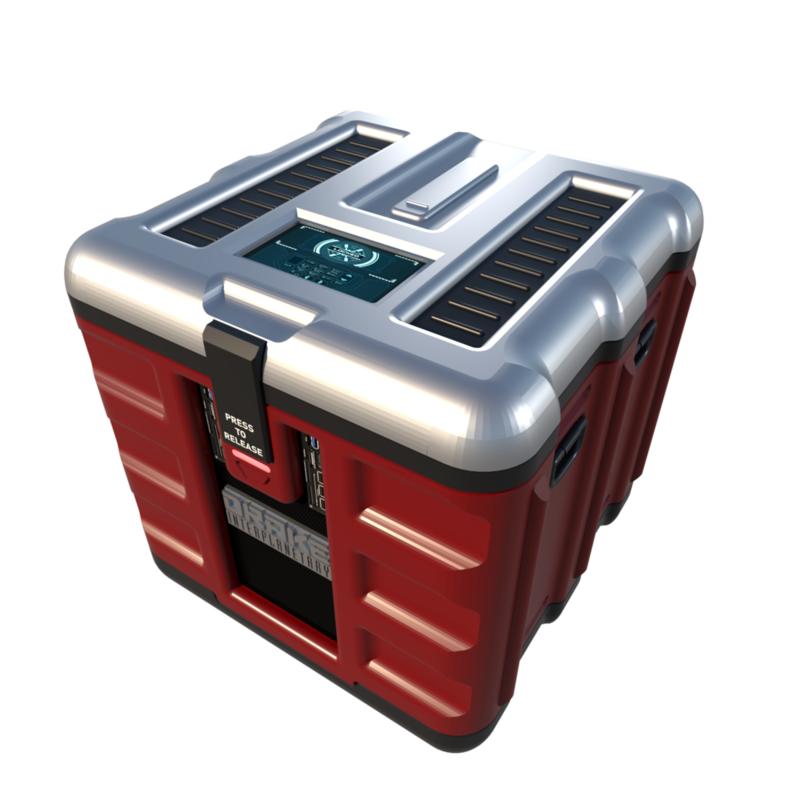 Our 6-unit mini fridge crate is perfect for any Star Citizen who wants to lock their snacks away with functional touch screen locking mechanism. Looking for a functional yet fashionable storage crate, large enough to fit your hopes and dreams? Our 6-unit storage crate comes has a functional touch screen locking mechanism to keep those pirates or UEE officials out! . Want to bring an outpost to your home then look no further than this customisable desk with a curved end panel and special features to allow you to set up and admire the PC of your dreams. Looking for that fully immersive experience to bring Star Citizen to your home or office? Then look no further than our range of customisable outpost inspired furniture. From standard desks, to drawer units and cupboards to complete your installation you really can bring the verse to life. Looking for a product that we don’t offer? We also offer a bespoke service! Want to find out more about our design & manufacturing process? Check out our blog!